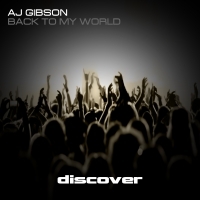 Two big trance tunes from from AJ Gibson under the umbrella "Back To My World". And what a world it is if these two tunes are anything to go by. Opening with Air, AJ Gibson has created a feelgood trance tune that literally breezes through the gears with infectious stabbed melodies and rock solid production. Code also hits the spot with precision accuracy. Hints of the melodic breakdown delights pepper the intro before opening up into all their plucked glory. Big, beautiful and brash - both Air and Code hit the spot with style.